This 15-story building designed by Beyer, Blinder, Belle will offer 211 rental apartments; a mix of studio, one-, two- and three-bedrooms, half of which will be affordable at a variety of income bands. 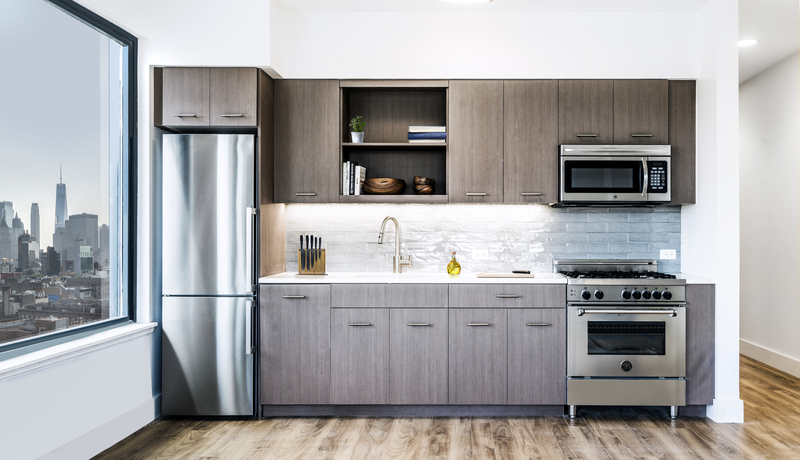 Amenities include communal terraces, a fitness room, yoga room, a children’s playroom, a dog wash room, bicycle storage and a resident’s lounge. Commercial tenants include Trader Joe’s and Target. The Rollins also features a 15,000 sq. ft. community park designed by West8 that will include a children’s play area. 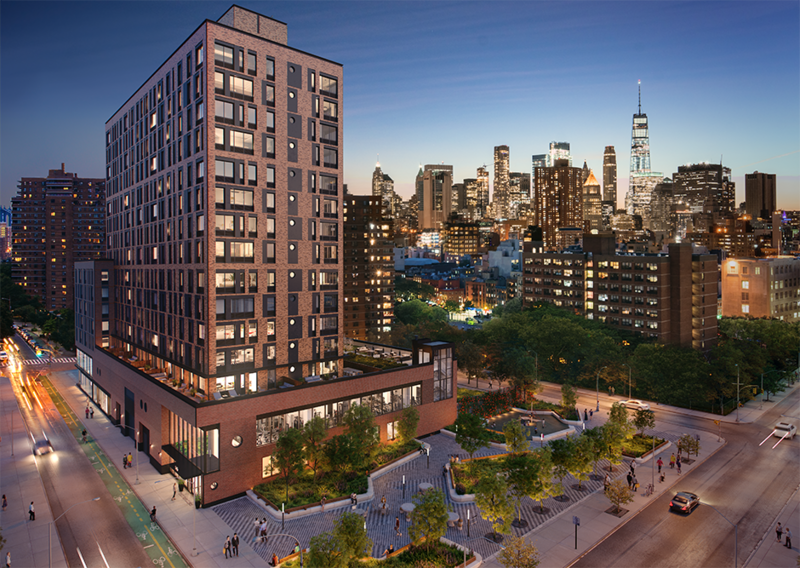 Essex Crossing Phase One is the winner of the 2019 Excellence Award for Best Mixed-Use Project. The three-level theater at 129 Delancey St. features stadium seating, luxury recliners and an expanded concessions menu. 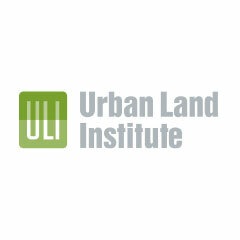 The Urban Land Institute New York honors the Lower East Side development team for excellence in mixed-use development. The new Essex Street Market and Market Line are bringing big names to the Lower East Side. By inviting local businesses, the Essex Crossing marketplace seeks to evoke the environment of the Lower East Side in the 19th century. Planners intentionally designed the project to compliment the Lower East Side neighborhood and culture. Phase one of the highly anticipated project, which will include a food hall and family entertainment, will soon be completed. Dhamaka will be one of two full-service restaurants opening this summer on the Lower East Side. Q & A with the Development Director of Essex Crossing, which is a 2019 ULI Awards Finalist for Excellence in Mixed-Use Development. The project was designed to harmonize with the existing community and bring central amenities to the neighborhood. A painting that embodies the market’s historical significance and the community’s culture will be installed. L+M’s Bernadette Amarosa was a panelist for a discussion about the transformation of the Lower East Side and Essex Crossing. The 100% affordable development will include 92 studio apartments. Essex Crossing will have several major openings as Phase 1 nears completion. As 2018 draws to a close, here’s a look at what’s new. Essex Crossing makes the list of distinguished renderings. The Lower East Side location will be the first multiplex to debut in this neighborhood. The Market Line will embody the character of the LES with more than 100 locally sourced retailers. The Market Line will be home to the vendor’s first retail location. The team behind East Village Japanese hit Izakaya is coming to Essex Crossing. The formerly vacant area, now Essex Crossing, is on track to become a vibrant mixed-income community. View a progress update on the Lower East Side development project. By the end of the year, the first phase of the Lower East Side project will be mostly completed. Community leaders and employees attend the ribbon cutting event of the new store located at 145 Clinton St. The 16-story building will also feature a 220 foot-long mural to be painted by a local artist. The Rollins is featured in the Spring 2018 Curbed residential roundup. Designed by Beyer Binder Belle, the mixed-use building includes 211 residential units. Named for jazz icon Sonny Rollins, the building at 145 Clinton Street will also feature 107 affordable apartments, Trader Joe’s and a Target. New photos of the Trader Joe’s grocery location at The Rollins on the Lower East Side. The 15-story, mixed-use building at 145 Clinton Street will be named after the jazz saxophonist. Target announces plans to open a store in the Essex Crossing development on the Lower East Side.